Spring is the time of celebration and parties, the time when flowers bloom, the time of fresh air and sunny days when people plan for outings to enjoy the good weather and fresh air. The colors, flowers, scented gardens and the beautiful nature create positive energy and make us feel right for entertainment. 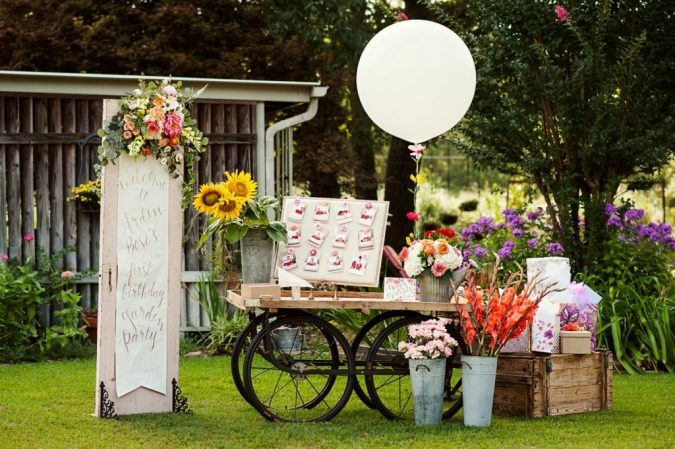 Spring welcomes gatherings, whether for family members, friends or larger groups. 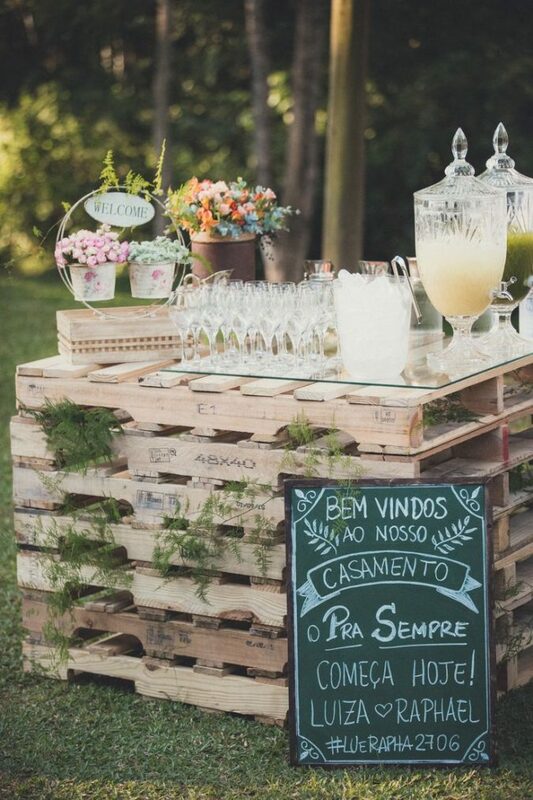 Whatever your guests are and the size of the party is, it’s always fun to through a good party. 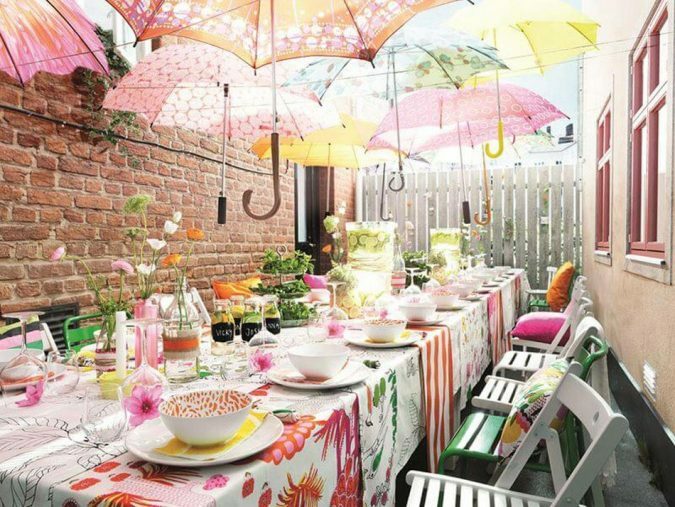 Here are ten ideas to help you prepare the best spring party. The choice of the place for the party is the main point to think about. Springtime is the time of good weather, fresh air, sunny days and the blooms of the flowers. The choice of gardens and open air places will be great. 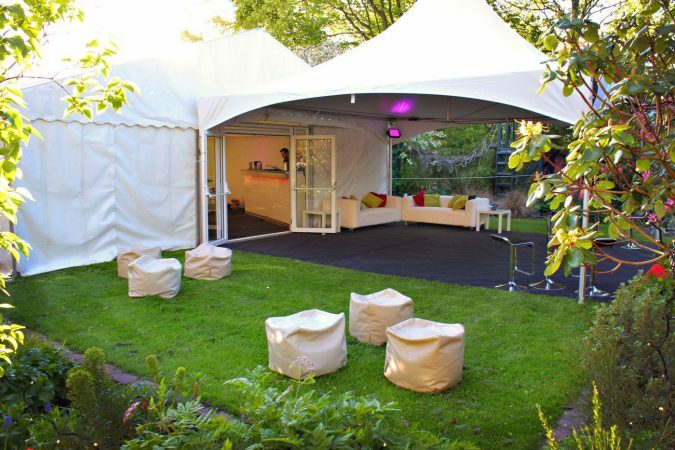 you can hold the party in the garden of your home or any park. When you are done with the place, it is time to proceed with the decoration and other preparations. Do not forget the charm of spring flowers; choose a sweet collection, make a wonderful bouquet of spring flowers, and put it on the table in the entrance of the place. It will be a nice idea; the flowers will provide you with a beautiful view, fill the air with lovely scents and spread the positive energy everywhere. They will also be a loud statement of spring, especially if the party is indoors. Watermelons, lemons with mint and orange are very sweet and delicious, and almost everyone loves and enjoys them. 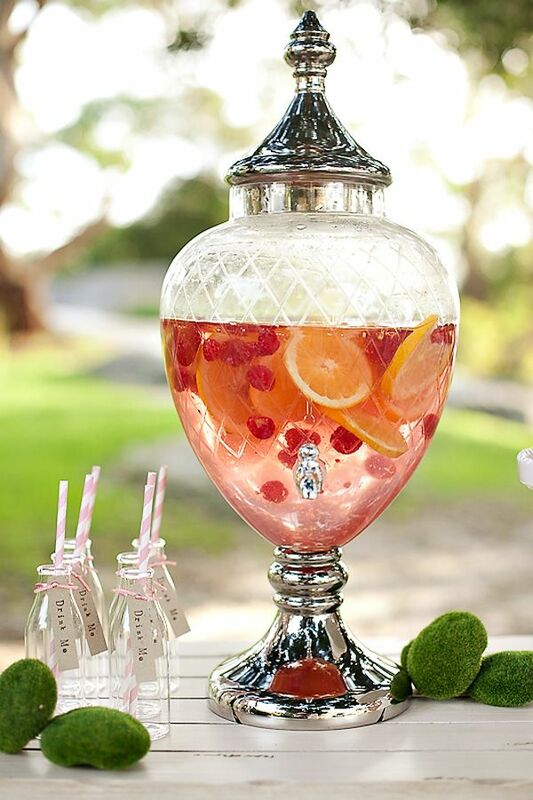 They are refreshing juices, therefore perfect for springtime parties. 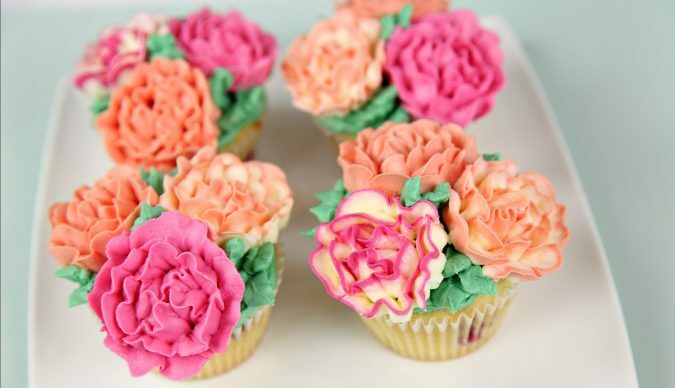 Adding flowers cupcakes to the snack table will be a nice idea. 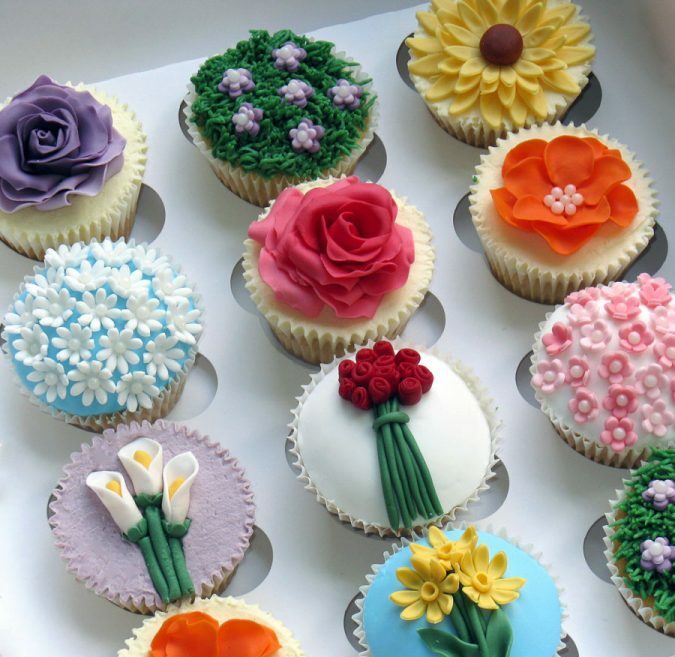 Flower shapes are attractive to the eye and cupcakes are a great snake; they are the perfect combination of cool and yummy. 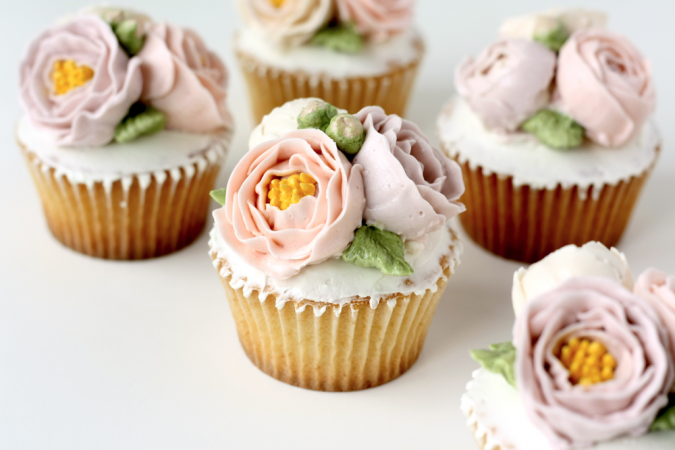 Preparing a collection of flower cupcakes will be a perfect spring decoration to the table. 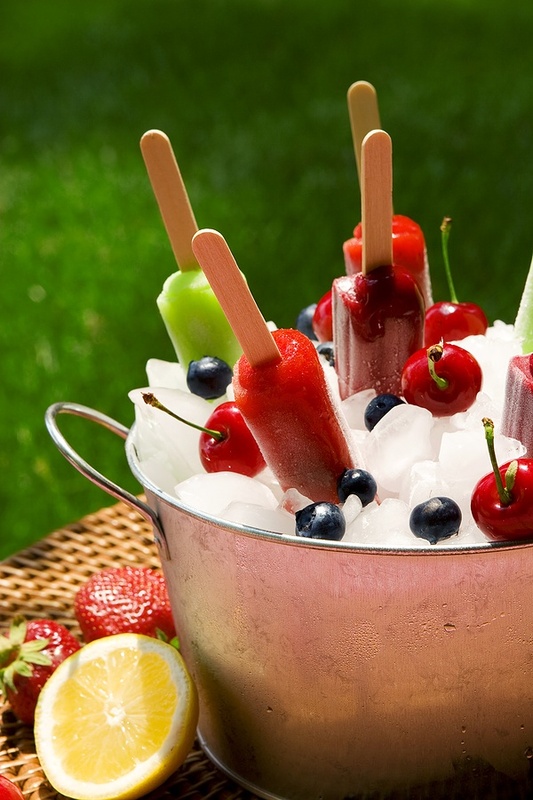 Strawberry ice cream and Popsicle are suitable treats for the warm weather and also very delicious. 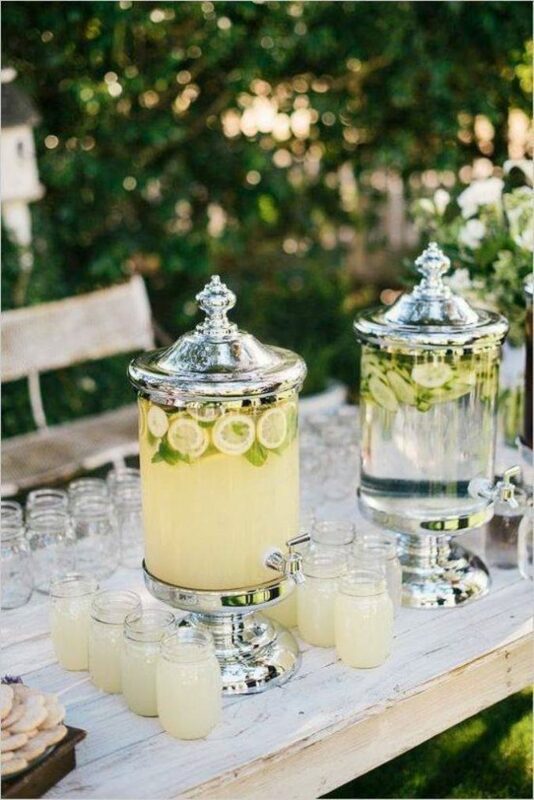 They will keep your guests cool if the weather gets a bit hot. 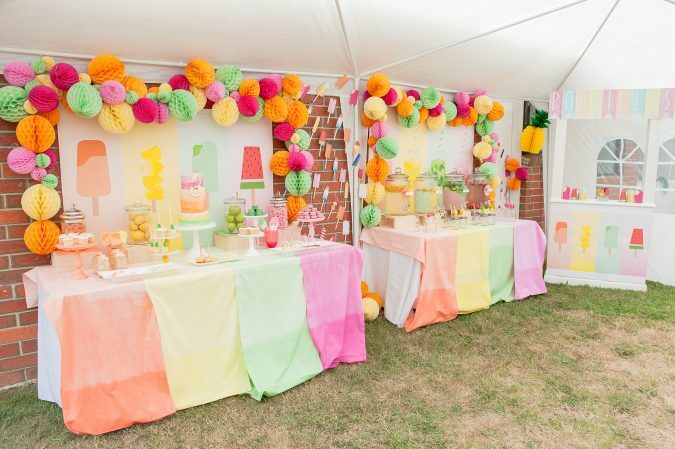 They are a great idea for spring parties. Spring is the time of fun, colors, and crazy ideas. 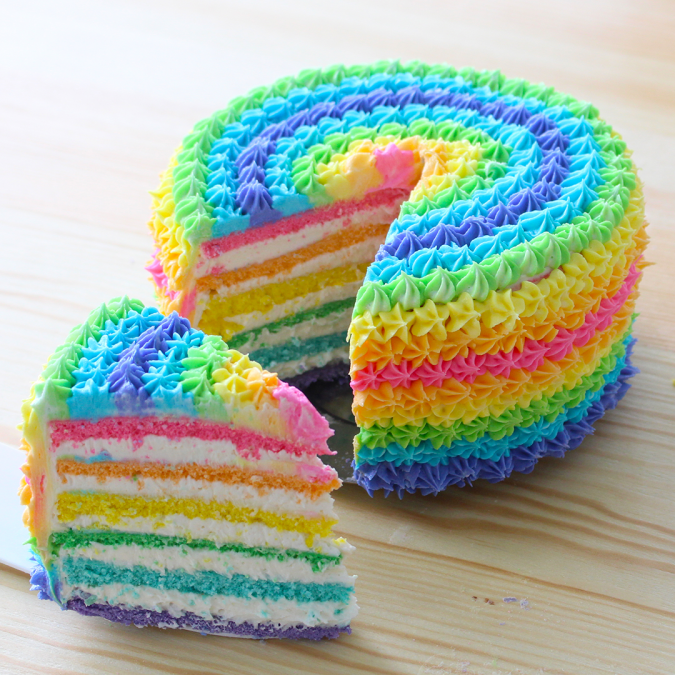 make a cake with the rainbow colors. 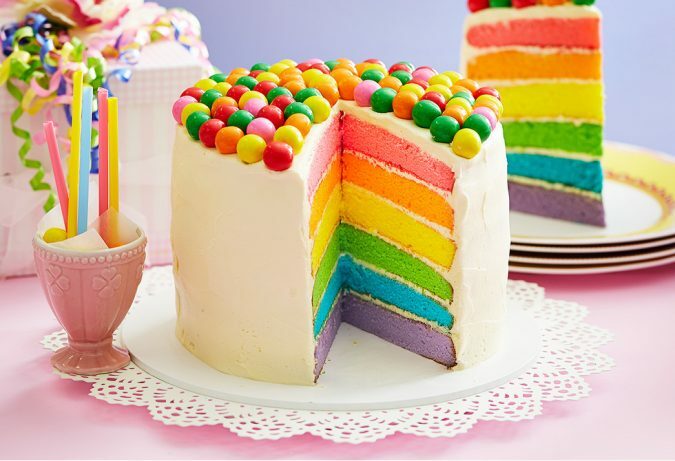 This cake will no doubt rock your party. 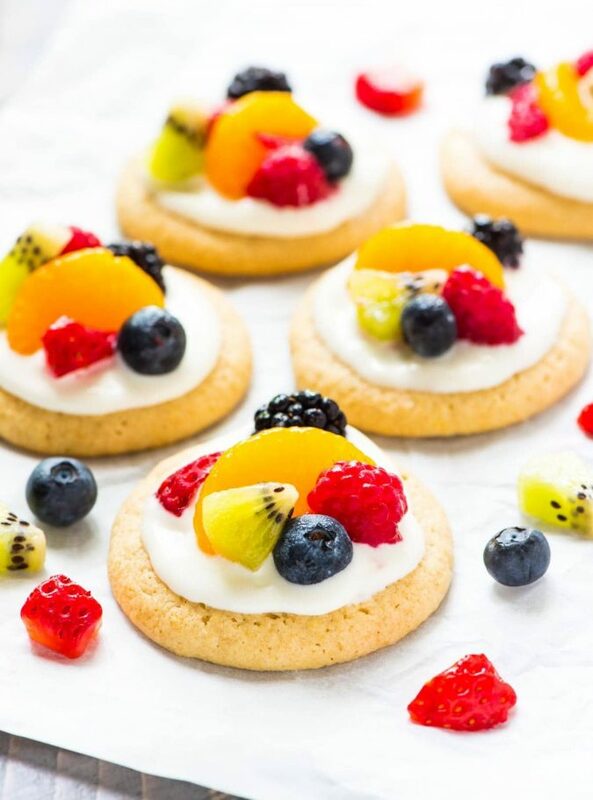 Cookies are also a sweet snack for the part. 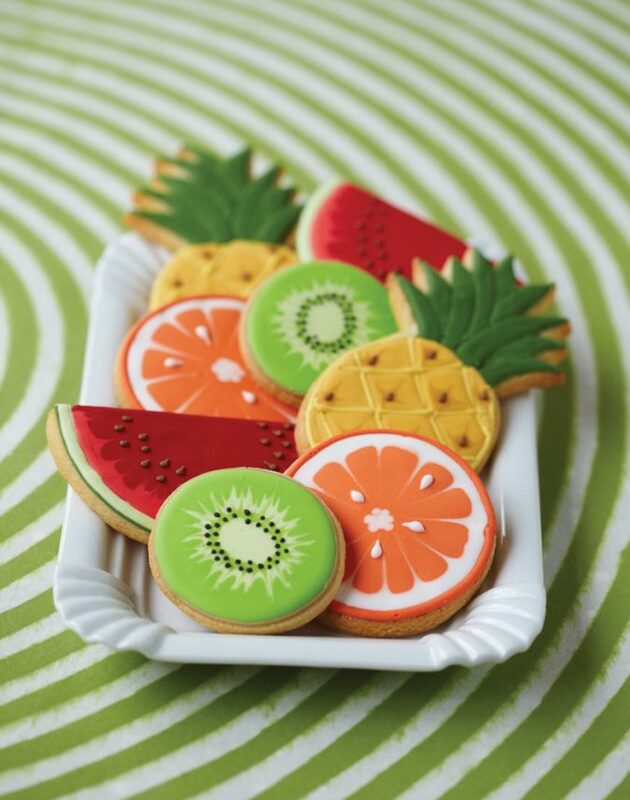 Give your cookies fruit shapes; watermelon, strawberry, kiwi, etc. They will be delicious as well as beautiful addition to the snacks table. Everyone loves cookies, whether kids and adults. 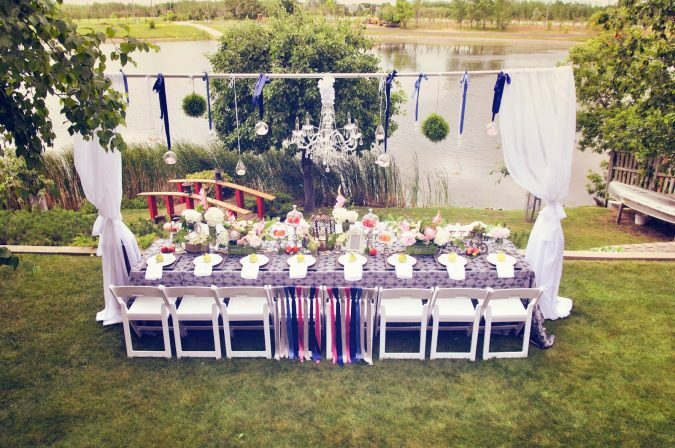 Add table covers, plates, dishes, flower vases, and tissues of pastel colors. Also, adding colored chairs will be a good addition to the place. The collection of pastels is distinctive and quite expressive of spring. They are a perfect choice for open-air parties. 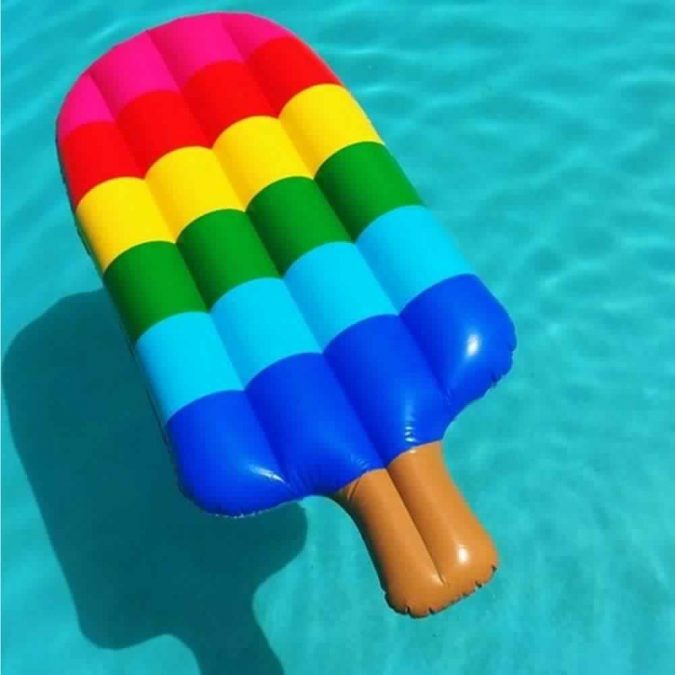 If you have a swimming pool, fill it with colored floats of ice cream and other spring themes. They will add more fun to the scene. Pizza is a delicious food for parties and is beloved by all. Prepare it with seafood, melted garlic butter, mix cheese, salami and chicken flavors. 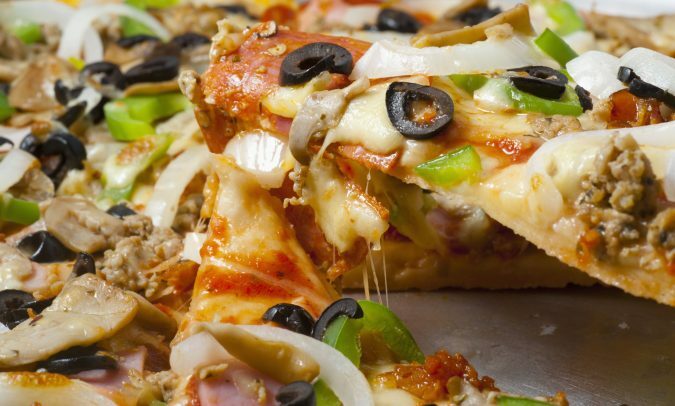 Pizza is a perfect choice for celebration and an easy-to-make food. 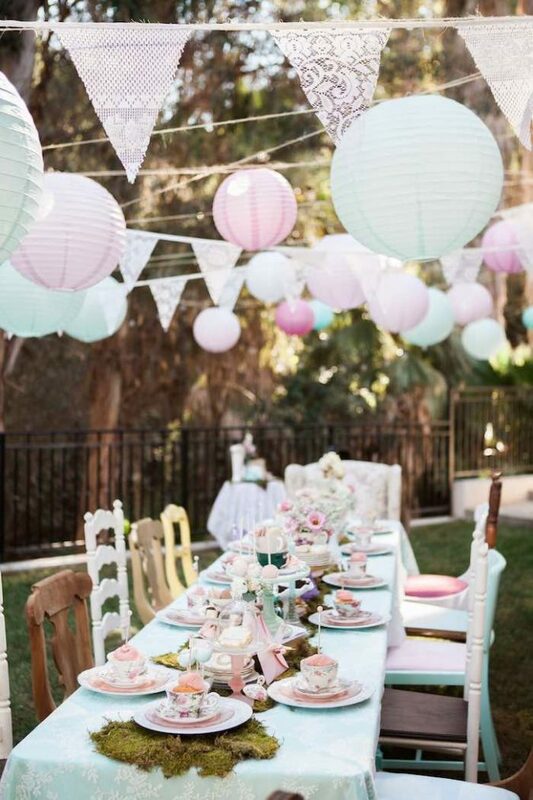 At last, spring is the time of outings and outdoor parties. 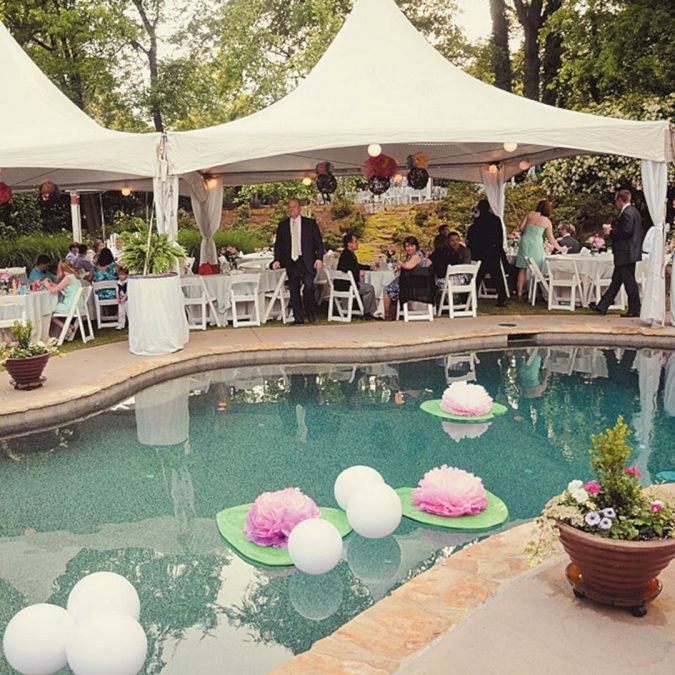 When you think of throwing a party in this beautiful time of the year, make it an open-air one, so you and your guests could enjoy the good weather, flowers, sun, and the fresh air. Do not let the season gone without enjoying it with family and friends, and have unforgettable moments and memories.